making learning more engaging and effective. Use quizzes, games and reports to learn and play! Play games within quizzes to make learning fun - earn credits as you play, and unlock even more games or avatar parts! Climb the game leaderboards to challenge students from your school, state or anywhere in the country! 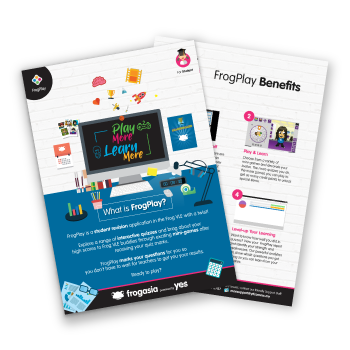 Bringing one of the most popular Frog products into mobile, FrogPlay Mobile aims to make revision even simpler and more engaging! Complete quizzes and play games! Join the Back to School Challenge! Competition starts 21st January - 8 February 2018! For more information, click the button below. Call our friendly Support Team at 018 799 8787.